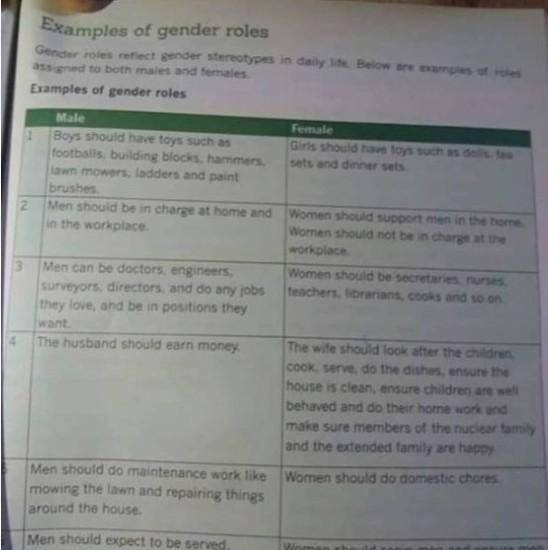 This is a viral text book that has been causing a stir on social media platforms, the book is about 'Gender Roles'. So many have discredited the text book as the fear of their Children's Education creeps in. This kind of issue keeps one wondering, what the Education system is turning into and what the Government is doing about it.